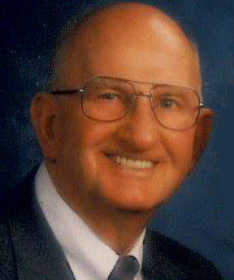 Lawrence Ernest Bowles, 87, a former resident of Deerfield, and more recently of Mapleton, Kan., died Tuesday, Aug. 24, 2010, at his home. He was born Oct. 4, 1922, in Deerfield, the son of Arthur E. Bowles and Almeda Burris Bowles. He married Una E. Wilson on March 20, 1943, in Nevada. She preceded him in death on April 10, 2010. Lawrence had served with the United States Army during World War II. He had worked as a track inspector for the MKT Railroad for more than 40 years. Lawrence was a member of the Deerfield Church of God (Holiness) and the VFW. Survivors include his son, Leon Bowles and wife, Frances, of Fort Scott, Kan.; four grandchildren, Monique Danley, Leon Bowles, Jr., Justin Bowles and Tina Bowles; and four great-grandchildren, Danielle Cavin, Scotty Umphenour, Amanda Bowles and Brody Bowles. In addition to his wife, he was preceded in death by a son, Lawrence "Larry" Bowles, Jr. a brother, Harry Bowles and four sisters, Wilma Rogers, Helen Carneal, Arta Cox and Margaret Carpenter. The Rev. Bill Smith will conduct funeral services at 1:30 p.m., Friday, Aug. 27, at the Cheney Witt Memorial Chapel. Burial will follow in the U.S. National Cemetery where military honors will be conducted by the Olson Frary Burkhart Post No. 1165 Veterans of Foreign Wars. Memorials are suggested to Harry Hynes Hospice c/o Cheney Witt Chapel, 201 S. Main, P.O. Box 347, Ft. Scott, KS 66701. Words of remembrance may be submitted to the online guestbook at www.cheneywitt.com.